Rafiki Tiki specializes in Floribbean Cuisine, in which we celebrate and feature a wide range of cultures and cooking styles. 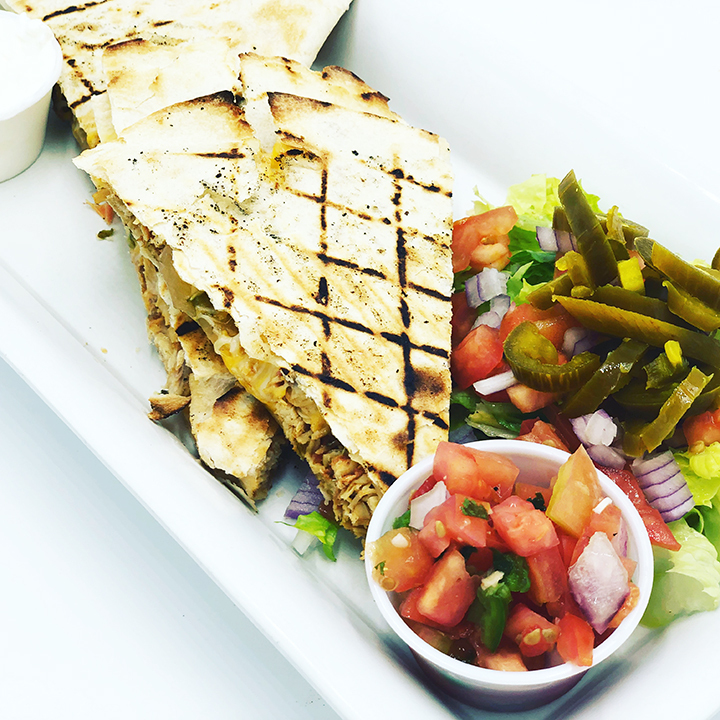 Our menu features a combination of Latin, American, Italian and Mediterranean Cuisine. 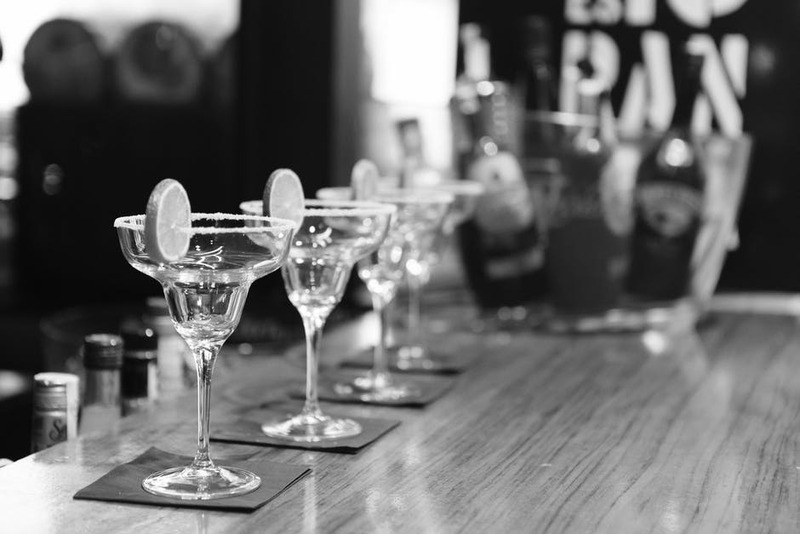 Come in after a long day on the water to enjoy a margarita and listen to live music. We have bands performing every week. 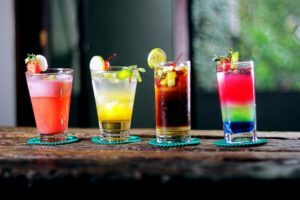 Our happy hour is Monday thru Friday 3pm-7pm which includes a $5 Bites Menu, 2 for 1 on All Beers, House Wines & Well Cocktails. We also cater and facilitate all event planning; schedule a free event consultation today! We take reservations for lunch and dinner. 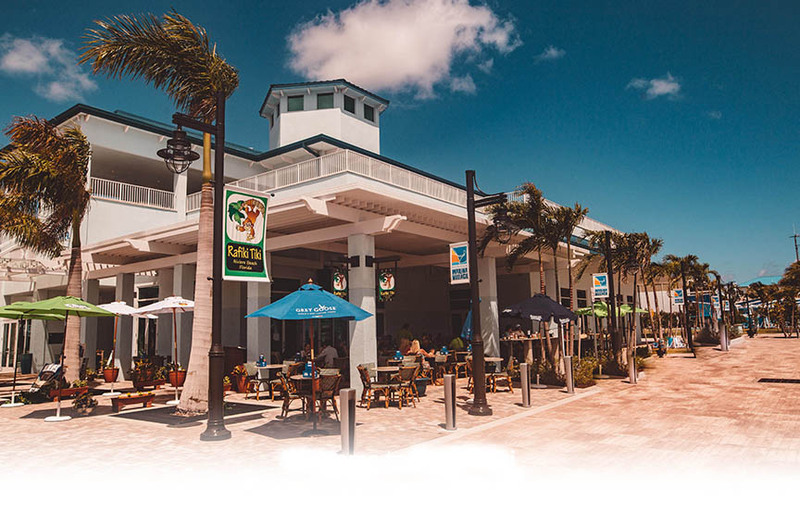 To make a reservation, please call us at (561) 812-2240 between 10am-10pm, 7 Days a Week. Whatever your event or celebration, we are here to make your special day a truly memorable one. Rafiki Tiki’s event experts are more than happy to arrange for guests to meet Chef Rancano to discuss menu options catered towards a wide variety of events. 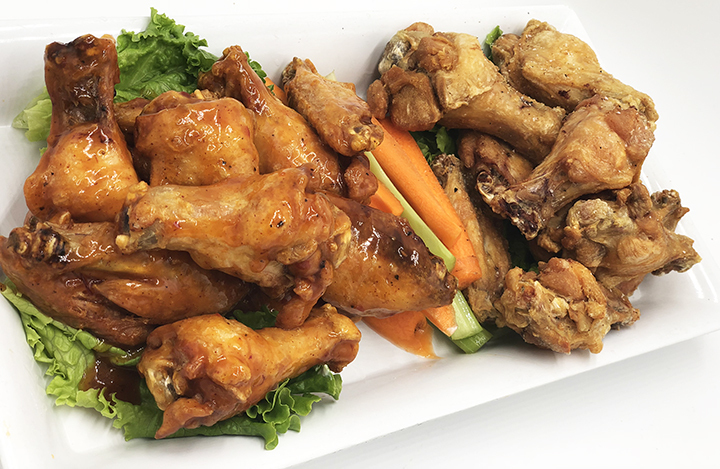 We also offer off site catering and delivery; please inquire when booking an event. Chef Marcelino Rancaño has created a menu of dishes using the finest seasonal produce and freshest cuts of meat. The result of several years living oversees; predominantly in South America, inspired Chef Rancaño to incorporate the Floribbean cuisine concept to Rafiki Tiki’s culinary offering. 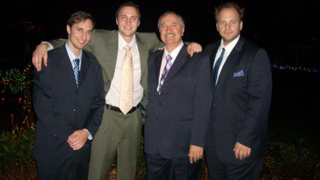 With over 35 years combined experience, Rafiki Tiki’s culinary team is well versed in several cuisines and executing large catering events. Please schedule a free consultation with Chef Rancaño by calling Rafiki Tiki at (561) 812-2240, no event is too large or small. Four chicken wings + four mozzarella sticks + two potato skins + three conch fritters; served with assorted dipping sauces. Crispy tri-color tortilla chips served with our house-made fresh salsa. 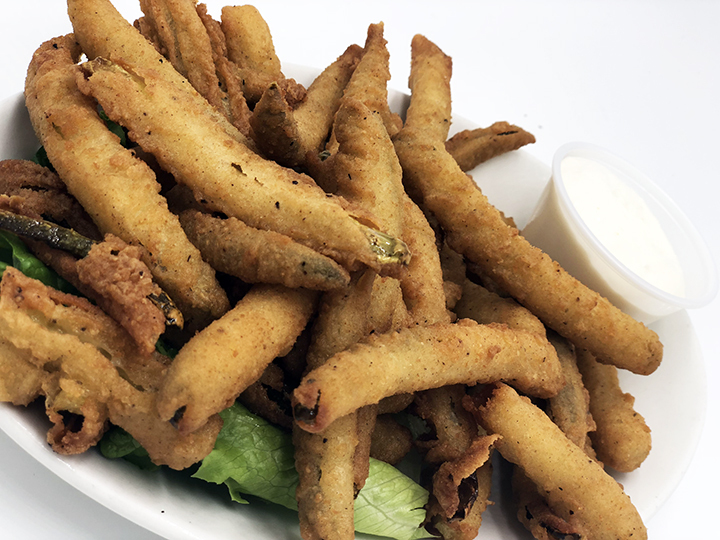 Served with horseradish dipping sauce. House-made hummus served with Kalamata Olives + pickles + tomatoes + cucumbers + grilled pita bread. Crispy falafel garnished with mint + tomatoes + pickles + tomatoes + cucumbers + grilled pita bread. with fries + lemon wedges + cocktail sauce. with fries + honey mustard dipping sauce. Traditional peruvian-style ceviche served with sliced avocado + crispy plantains + petite salad. 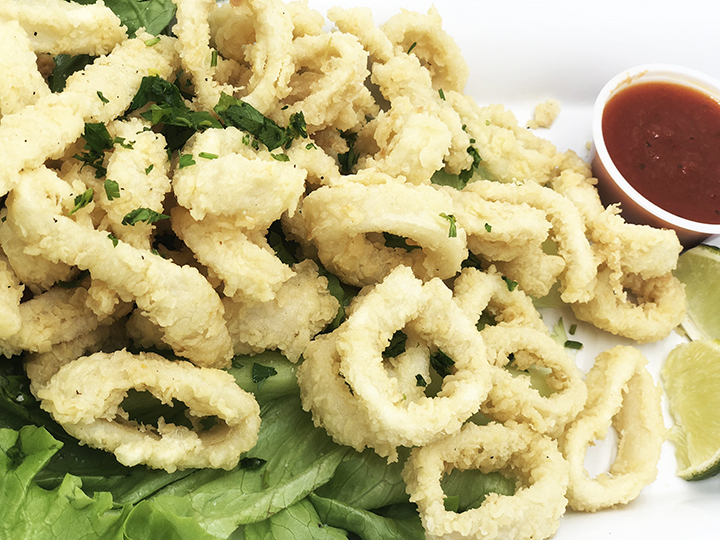 Crispy fried calamari served with house-made marinara sauce + fresh lemons. Served with crispy tri-color tortilla chips. 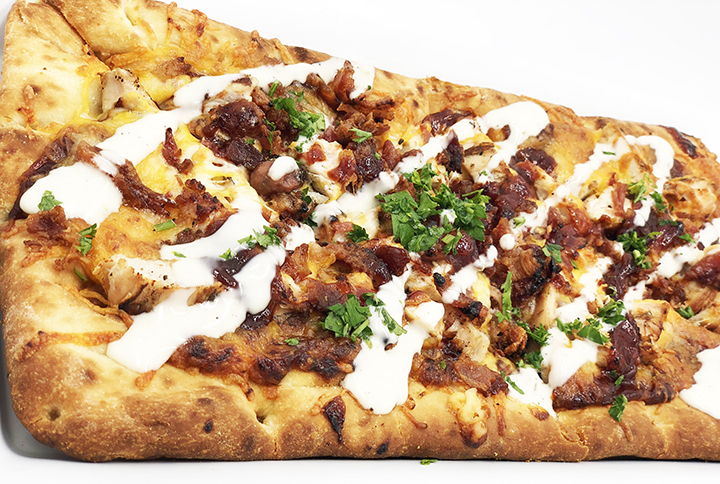 Four potato skins pilled high with crispy bacon + cheddar jack cheese + broccoli + ranch dressing. 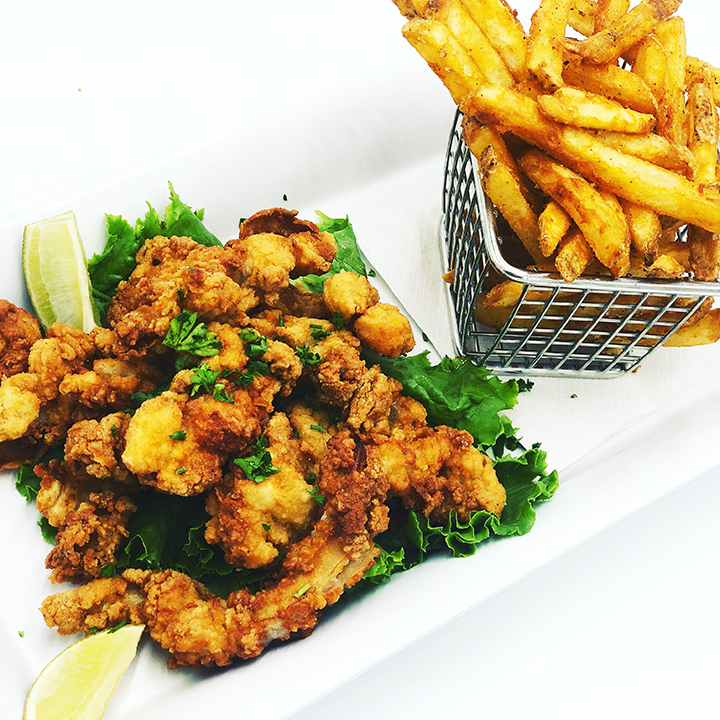 Served with french fries + lemon wedges + concktail dipping sauce. Eight crispy mozzarella sticks served with our house-made marinara sauce. 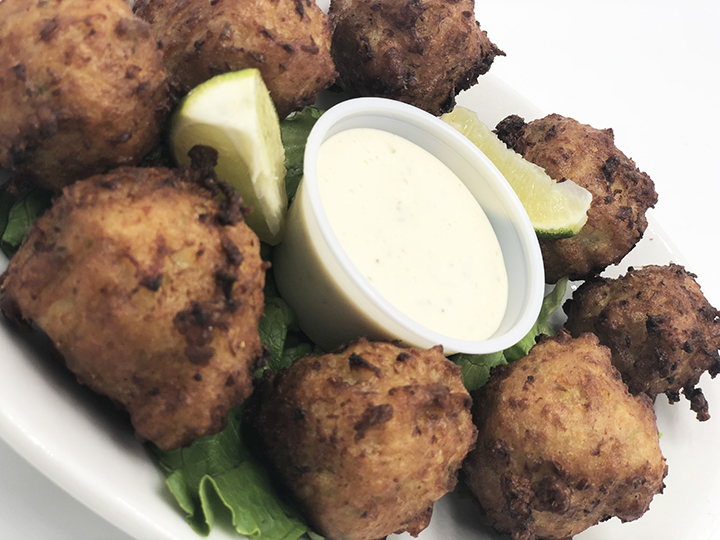 Eight fried to order conch fritters served with a side of our signature spicy remoulade. Two house-made crab cakes topped with our signature spicy remoulade. 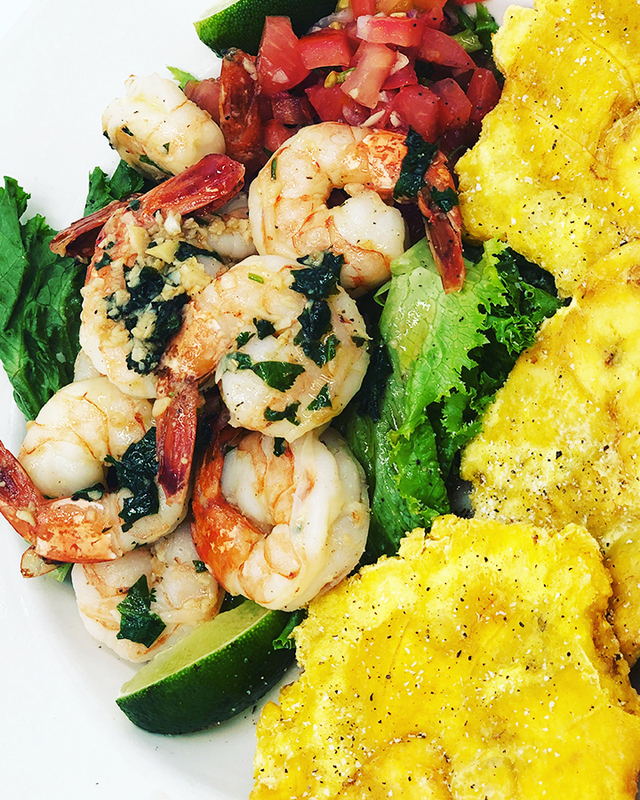 Sauteed shrimp in a traditional Cuban garlic sauce topped with pico de gallo + crispy plantains. Jumbo shrimp served with a house-made cocktail sauce + fresh lemons. 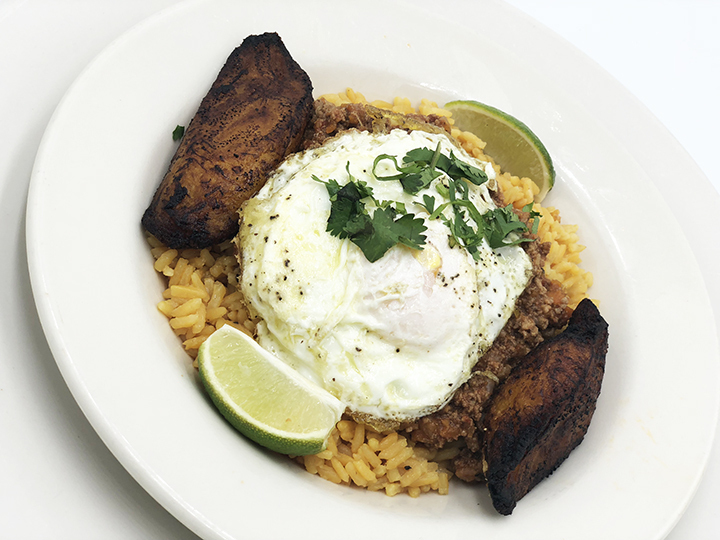 Cuban-style ground beef + yellow rice + sweet plantains + fried egg. Sauteed beef tenderloin + sauteed onions & peppers + yellow rice + french fries + cilantro garlic sauce. Stewed boneless chicken thighs + yellow rice + cheddar jack cheese + roasted red peppers + cilantro garlic sauce + sweet plantains. 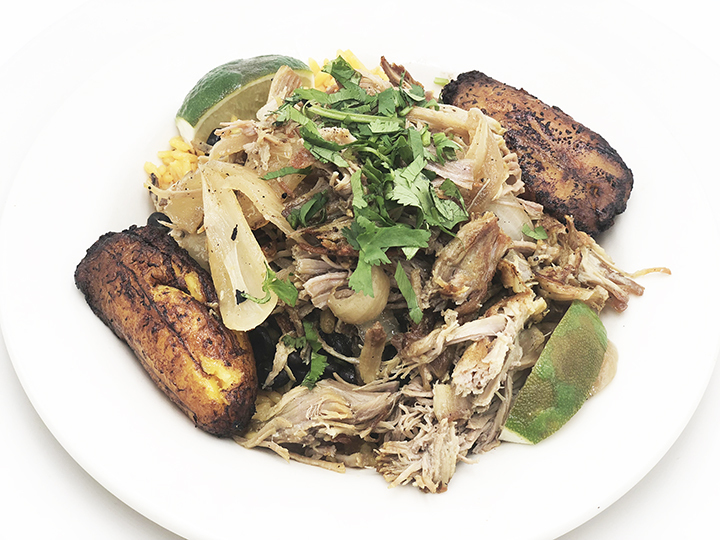 Slow roasted pork + caramelized onions + yellow rice + Cuban-style black beans + sweet plantains. 8oz. Beef Tenderloin grilled to order served with seasonal rice + daily vegetable + side of traditional Argentinian Chimichurri steak sauce. 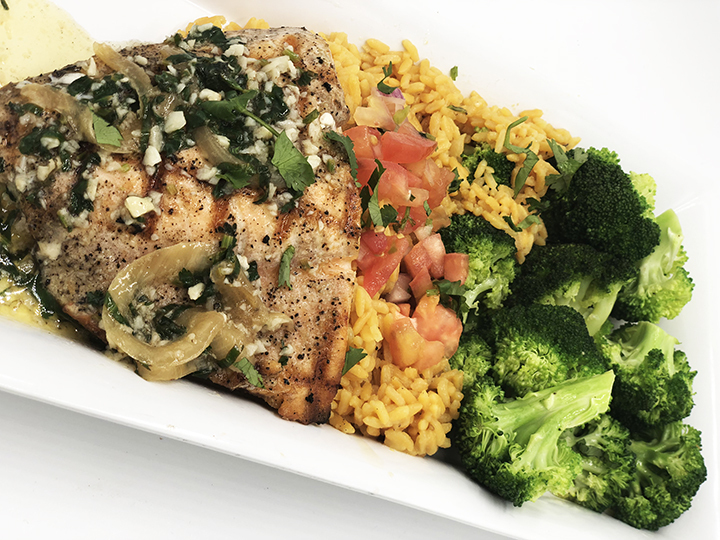 grilled, blackened or cuban-style garlic sauce; served with seasonal rice + daily vegetable. pan seared jumbo shrimp + garlic butter sauce + herbs + white wine + linguine pasta. Latin style "Fish 'n Chips" Corona battered fish fillet served over a bed of crispy fries + cilantro garlic dipping sauce. 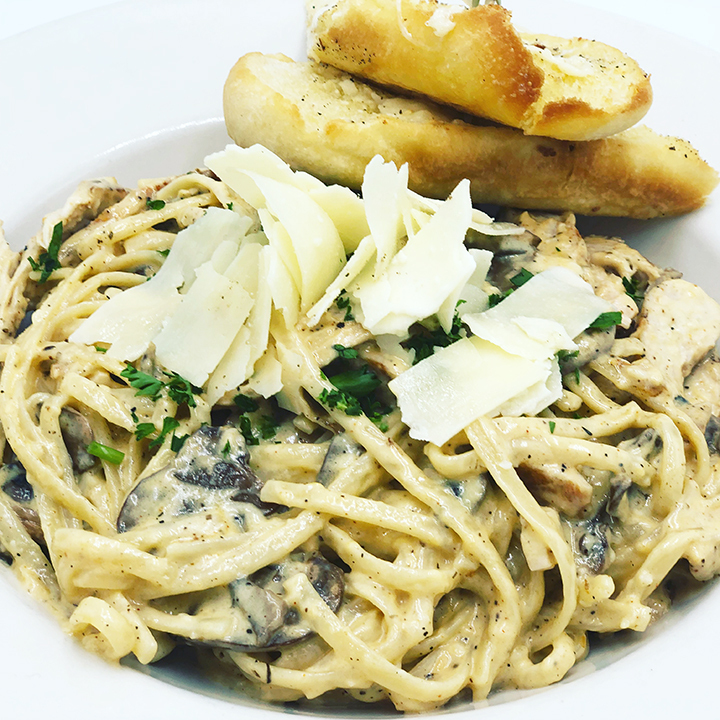 blackened chicken breast + sauteed mushrooms + alfredo sauce + herbs + linguine pasta. 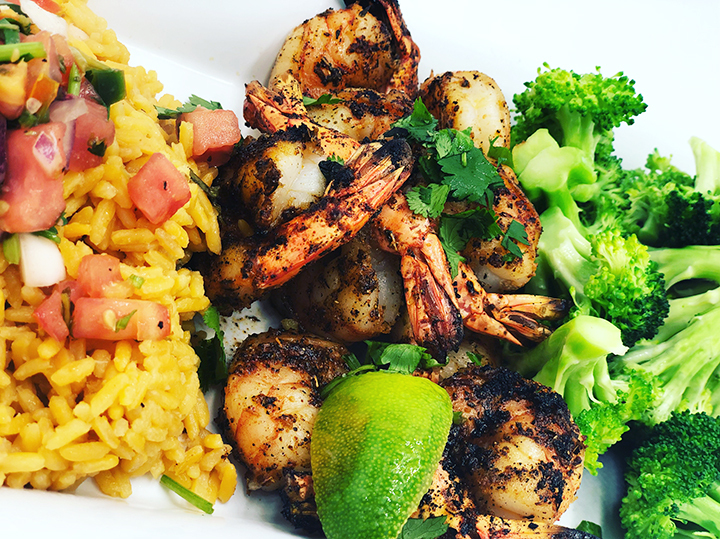 grilled or blackened jumbo shrimp; served with seasonal rice + daily vegetable. Grilled Beef Tenderloin tips tossed in BBQ sauce + cheddar cheese + crispy bacon + jalapeños; served in a flour tortilla. Tuna + lettuce + tomato + onion + sweet soy sauce; served in a spinach flour tortilla wrap. Captain Crunch crusted chicken breast topped with jalapeño slaw + chipotle aioli; served on a bun. 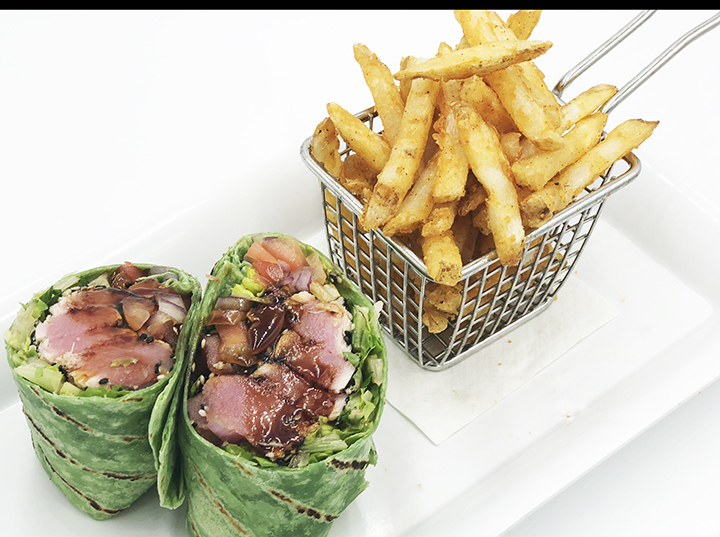 Crispy chicken fingers tossed in buffalo sauce + lettuce + tomato + red onion; served in a spinach wrap with a side of blue cheese dressing. Grilled marinated chicken + lettuce + tomato + onion + mayonnaise; served on a bun or wrap. Slow roasted Cuban pork + house-made tangy mustard sauce + Serrano ham + Swiss cheese + pickles; served on pressed Cuban bread. 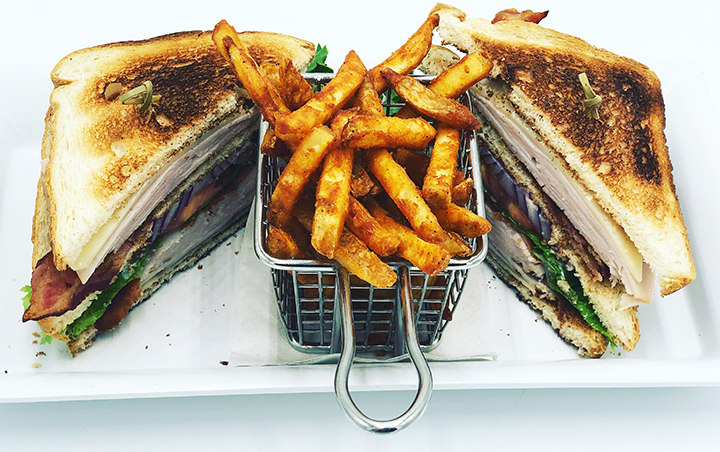 Sliced Turkey + Swiss cheese + crispy bacon + lettuce + tomato + onion + mayonnaise; served on toasted white or wheat bread. Grilled shrimp + lettuce + tomato + pineapple + cheddar jack + chipotle aioli; tomato basil wrap. Sauces: Mango Habanero, BBQ, Buffalo, Garlic Parmesan and Thai Chili sauces served with carrot, celery & blue cheese dressing. Romaine lettuce + croutons + parmesan cheese; served with Caesar dressing. Romaine lettuce + orange segments + cranberries + pineapple + cilantro + sesame seeds + green onions; served with orange vinaigrette dressing. 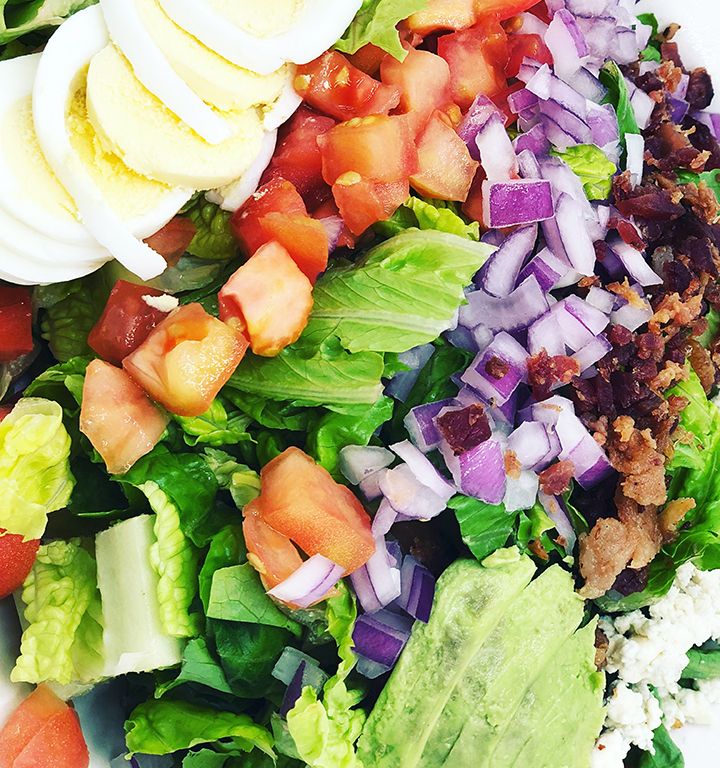 Romaine lettuce + tomato + crispy bacon bits + red onions + hard-boiled egg + sliced avocado + blue cheese crumbles + your choice dressing. Romaine lettuce + Kalamata olives + pepperoncini peppers + feta cheese + tomato + red onions + cucumbers; served with Greek dressing. Available Dressings: Caesar, Ranch, Blue Cheese, Orange Vinaigrette, Greek and Balsamic. All Tacos are served on flour tortillas. Cuban-style shredded pork + caramelized onions + cilantro + lime wedges. Stewed Chicken Thighs + cilantro + lime wedges. Seasoned ground beef + cheddar jack cheese + lettuce + tomato. 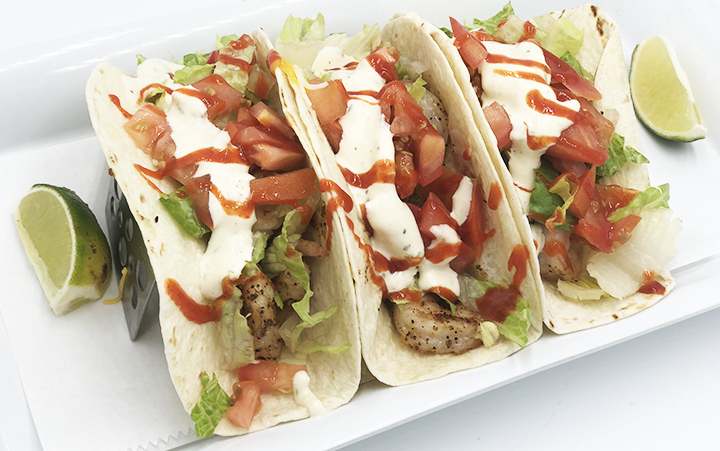 Sauteed shrimp, cheddar jack cheese + lettuce + tomato + lime sriracha + spicy remoulade. Blackened Mahi-Mahi + cheddar jack cheese + lettuce + tomato + chipotle aioli. Sauteed beef tenderloin tips + cheddar jack cheese + lettuce + tomato + chimichurri cause. Angus burger grilled to perfection served on a Kaiser roll with leaf lettuce + tomato + onions. Our Rafiki burger topped with fried egg + jalapeños + cheddar cheese + house-made fresh salsa. Our Rafiki burger topped with sauteed mushrooms + caramelized onions + swiss cheese. Our Rafiki burger blackened + blue cheese crumbles. Our Rafiki burger tossed in a spicy Sriracha-lime sauce topped with cheddar cheese + chipotle aioli. Our Rafiki burger topped with chicken fingers tossed in BBQ sauce + crispy onion ring. Our Rafiki burger topped with provolone cheese + sweet pineapple salsa + spicy chipotle aioli. Our Rafiki burger topped cheddar cheese + crispy bacon strips + BBQ sauce. 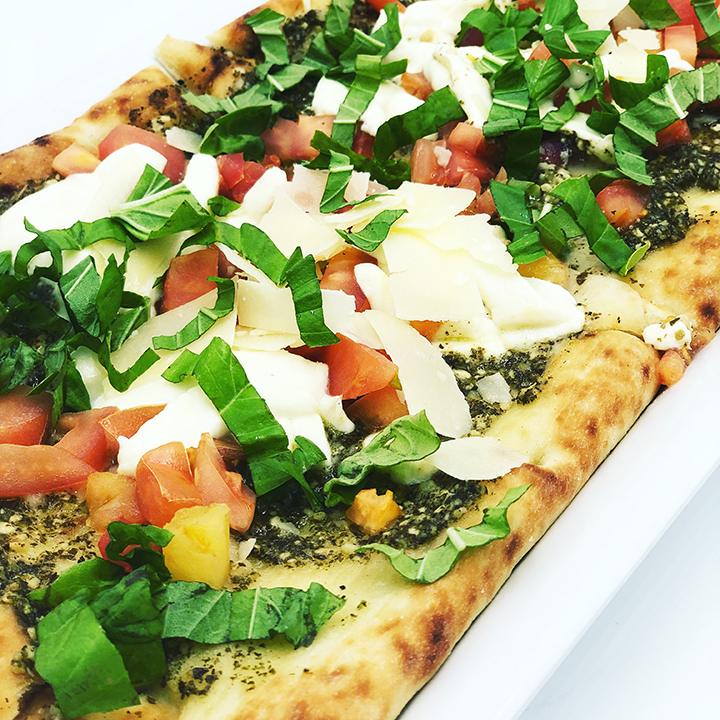 Grilled portabella cap + roasted red peppers + mozzarella cheese + marinara sauce + basil pesto. Fire grilled burger topped with fresh mozzarella + cheddar + provolone + mornay cheese sauce spread.